Ivan Stanev’s film debut is the most enchanting, extraordinary film to come about in years. 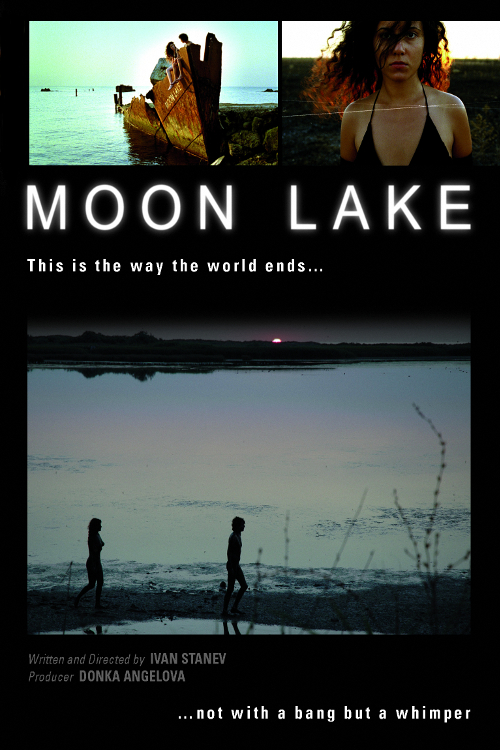 A depiction of a world which is simultaneously set in the present and not quite, Moon Lake is a fascinating amalgam of exquisite, dreamlike imagery, stunning young faces, and entrancing poetry. There are films which are so deliberately strange, that they leave behind a touch of epiphany, rather than the habitual musings about the script, the actors’ presence or the predictable ending. Feel warned – Moon Lake is a surreal voyage through a moribund world, a beautifully sombre tale told in seven languages, the cornerstone of which is the myth of Orpheus and Eurydice. One can see them pass through in the film, as a ravishing young couple wandering along forlorn paths on the brim of vertiginous sea cliffs. He has an electric guitar on his shoulder; her locks are blown by the wind. Thereabouts, by the sea shore, another nameless couple – a lookalike of Orpheus and Eurydice (or their contemporary double) is riding on a tandem bike. Moon Lake does not have a well-defined storyline, logically coherent cues or a straightforward message. It is like an hour-and-a-half long road movie – with dreary landscapes of the Black sea, melancholy love scenes, and Sebastian Meissner’s ambient soundtrack, which fits in excellently. Passing through the film one can also see the bearded brothers Karl and Marx, a welder, dismantling a rust-eaten shipwreck, about fifty or so motley Gypsies celebrating a wedding, a group of students reciting Plato’s The Republic in ancient Greek, Arabel von Karajan and her band, as well as a professor lecturing on T.S. Eliot’s The Hollow Men. The latter’s verse acquires an astonishing relevance: This is the way the world ends / This is the way the world ends /This is the way the world ends / Not with a bang but a whimper.